Add water and a dash of sea salt to a medium stock pot. Bring the water to a boil. 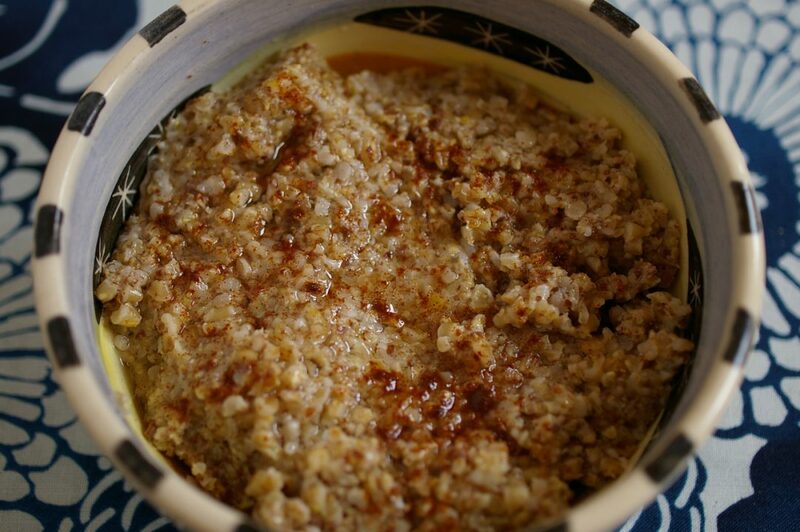 After about 10 minutes, when the oats are mostly cooked, add the flaxseed and cinnamon, and stir thoroughly. Tip: Water amounts and cooking times vary by type of oats (rolled or steel-cut) and desired consistency. Adjust water based on packaging instructions.